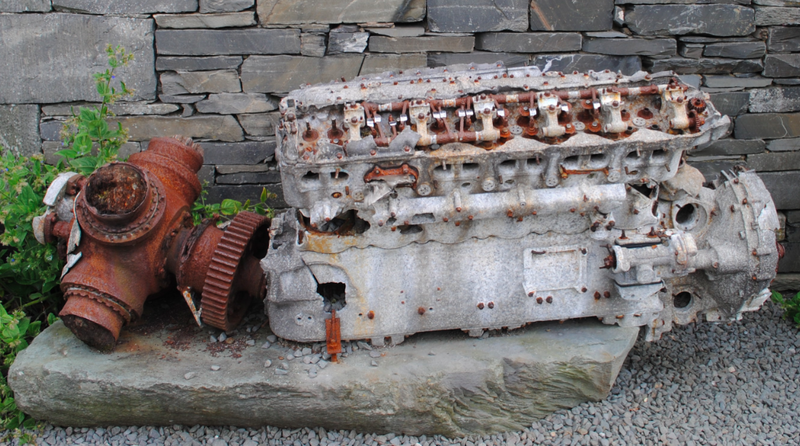 On display outside the Ruskin Museum in Coniston is the burnt remains of a Merlin engine. The engine was part of the wreckage at the crash site of RCAF Halifax Bomber LL505. During a night navigation exercise on 22nd October 1944, the eight crew became lost in thick cloud in the heart of the Lake District. Flying too low at the time, the Bomber hit a sloping grass fellside near to the top of Great Carrs. All crew members, one Scot and seven Canadians, were killed in the crash.